After the $500 instant rebate, the Pentax K-5 IIs DSLR camera is now listed as discontinued at B&H. 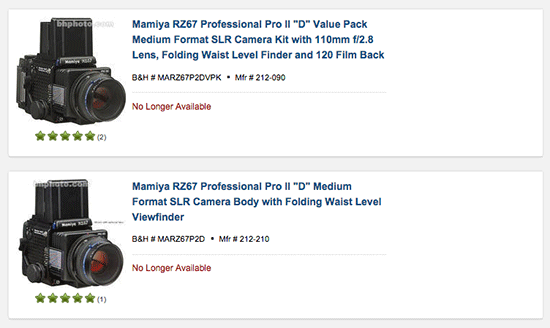 I also received some information that the Mamiya 7II medium format camera is also already discontinued (not listed at B&H, still in stock at Adorama). Mamiya is rumored to release a new medium format digital rangefinder camera in 2015. This entry was posted in Mamiya, Pentax and tagged To be discontinued.... Bookmark the permalink. Trackbacks are closed, but you can post a comment.